Known for their prophetic powers, ravens can foretell death and destruction and the powerful Norse god Odin also used them as his messengers. 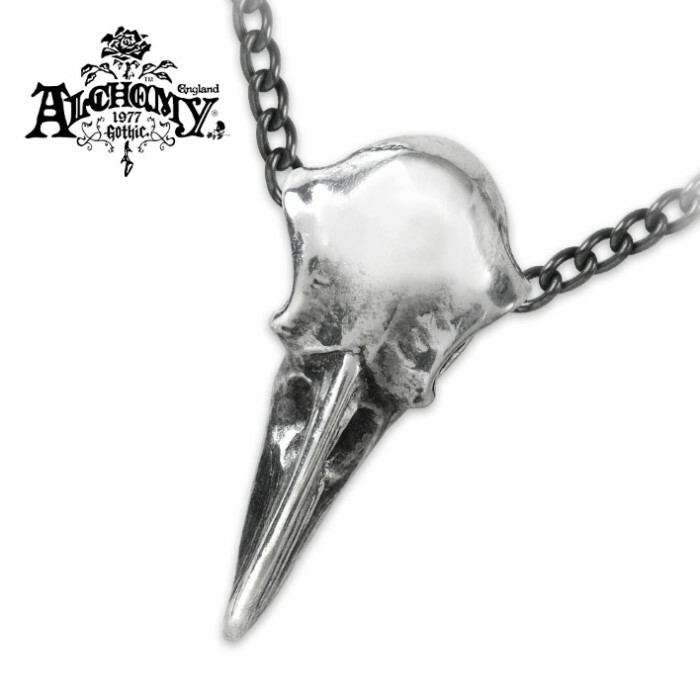 This Mini Raven Skull Necklace is a powerful token of power and prophecy to wear. The pendant is crafted of polished English pewter and is authentically detailed. It hangs from a 21” black trace chain that passes through the raven skull’s eyes. The pendant is 1/2” x 1”.